Please be aware that there are due dates for blackout dates each season. Check with the BASC Games Commissioner or the BASC office if you’re not sure what the dates are! If you add the blackout dates after the deadline – they cannot not be honored. Closed league teams can choose 2 dates, Open Rec & Rec plus leagues can choose 4 dates. 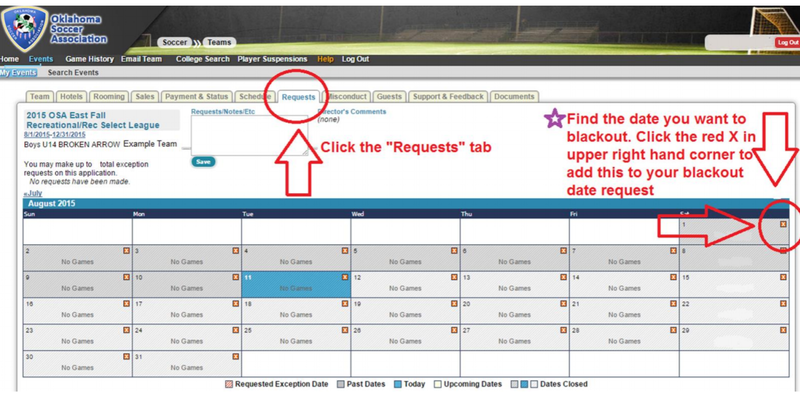 To add blackout dates in your team account: Log into your team account and find the current season & league that you’re playing in & in the schedule column click the “TBA” link (To Be Announced), as schedules are not available to view yet. See picture example below.